In April, members of the cast of the old Happy Days sitcom filed a multi-million dollar suit against CBS over unpaid merchandising profits. Marion Ross, Anson Williams, Don Most, Erin Moran, and the widow of Tom Bosley are seeking more than $10 million in profits for Happy Days-themed merchandise. Using the actors’ likenesses, the studio has licensed numerous Happy Days items like T-shirts, board games, and gambling machines. Pfeiffer’s comments follow a judge’s ruling that the actors couldn’t pursue fraud claims against CBS without amending their lawsuit to provide further details. The attorney replied he would do so within a month and include additional information he’s learned since filing the initial lawsuit. 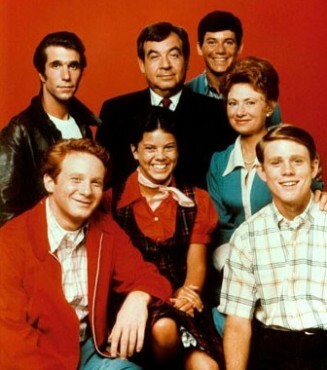 Two of the stars of Happy Days, Ron Howard and Henry Winkler, are not part of the lawsuit. Pfeiffer indicated that he has learned that Winkler had been paid for merchandise rights but didn’t know how much the actor had received. What do you think? Are the castmembers entitled to more than CBS paid them? Will they win this lawsuit? There is no way that CBS has only made profits that amount to $6500 per actor from merchandising over the past 37 years or so. Why wouldn’t they have to pay a fair percentage plus interest considering that they withheld payment and had no intentions of paying them!